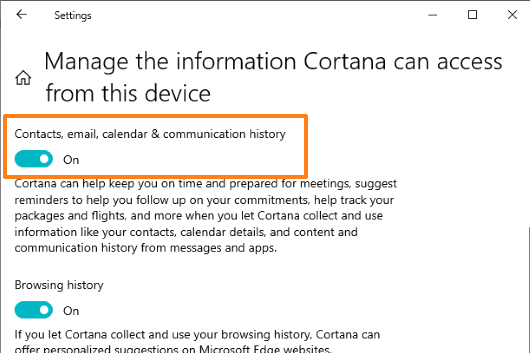 Disable Cortana from Collecting Email, Contacts, Calendar in Windows 10? This article covers how to disable Cortana from collecting emails, contacts, and calendar in Windows 10. Cortana is definitely a good personal assistant to launch applications, perform search, schedule appointments, toggle WiFi, make a call, take notes, and much more. However, the thing is that it collects a lot of personal data to assist you and for the improvement. Among those personal data, collecting contacts, emails, and calendar data are also included. If you don’t want that, then you can simply prevent it from happening. You can disable or prevent Cortana from collecting emails, contacts, and calendar using Windows 10 Settings. All the steps are pretty simple. Once it is done, it will also stop providing suggestions. Later, when you think you should let Cortana collect such data, you can enable the same option anytime you want. Note: Once you’ve disabled such permissions, it won’t delete already collected information. For that, you need to manually delete information collected by Cortana. How to Disable Cortana from Collecting Emails, Contacts, and Calendar in Windows 10? Step 1: Use the shortcut “Windows logo key + I” and it will open Settings app. You can also open it from the Start menu. Step 2: There will be a Cortana menu. Click that menu. Step 3: Cortana menu has multiple pages on the left side and each page has different options. Select the “Permissions & history” page. 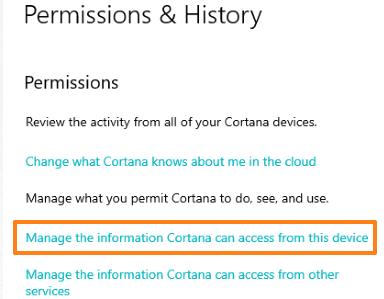 Step 4: Now you can see “Manage the information Cortana can access from this device” on the right-hand side. This is the option that you need to access. Step 5: This is the final step. You will see a button associated with calendar, contacts, email, and communication history. This button is turned on, by default and because of this Cortana is able to collect all such data. Turn off that button and it is done. 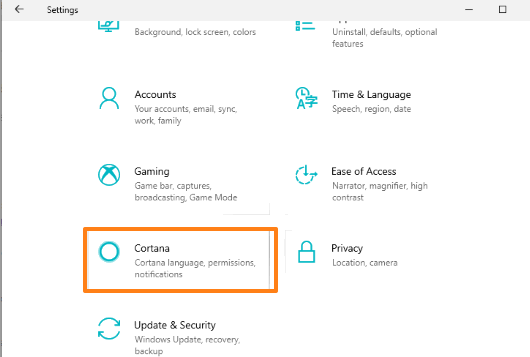 The options to let Cortana access browsing history and location are also there. You can either keep them turned on or off using the available button. Those who use Cortana regularly and get benefit from such features, they don’t need to disable its access to all such personal data. 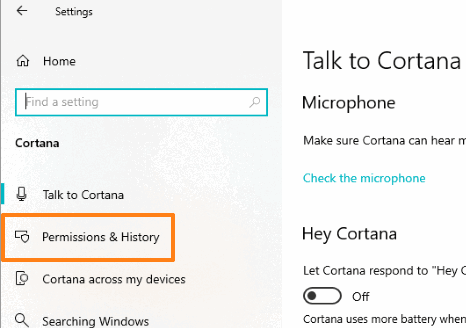 Others who rarely or don’t use Cortana or want it to access such data, they may disable Cortana from collecting contacts, emails, and calendar in their Windows 10 PC by following the above-mentioned steps.